We aim at providing your family with the finest quality dental healthcare and hygiene by bringing together some of the country’s finest dentists and health professionals in a warm and comforting environment. Our modern, state of the art technology combined with traditional values and warmth aims at providing towards each of our patient’s unique needs. Our commitment towards the community and continuous efforts to provide the best dental service at affordable prices is what sets us apart. 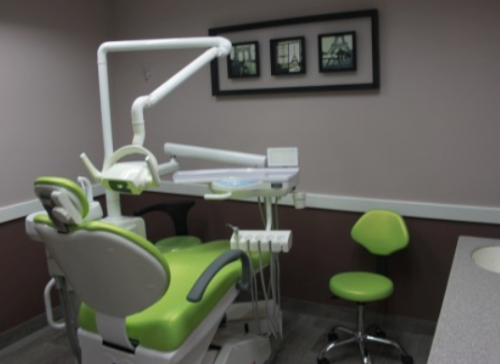 We have always maintained the highest standards in our practice by abiding with the guidelines established by the American Dental Association and Centers for Disease Control. Like us on Facebook! Dr. Anil Shah was born in Queens, NY and raised in Park Ridge, NJ. He first fell in love with dentistry when he was a freshman at New York University. With his father being a pediatrician and his mother a teacher, pursuing a field in pediatrics was a natural fit. He graduated towards the top of his dental class at NYU and went on to complete his pediatric residency from the reputed university. Dr. Shah specializes in treating patients with special health needs and kids with dental fears. He is trained in oral surgery, IV sedation, general anesthesia and interceptive orthodontics. His philosophy of inviting parents into the operatory room has been a source of comfort for both children and their parents. He emphasizes prevention and conservative approaches for dental care. He believes every child is different and requires the utmost attention and detail. His goal is to have every child leave his office free of dental fears and with a smile on his or her face. He currently lives in Union Square with his wife and his son, Sahil. In his free time he likes to sing, play basketball, hike and travel.